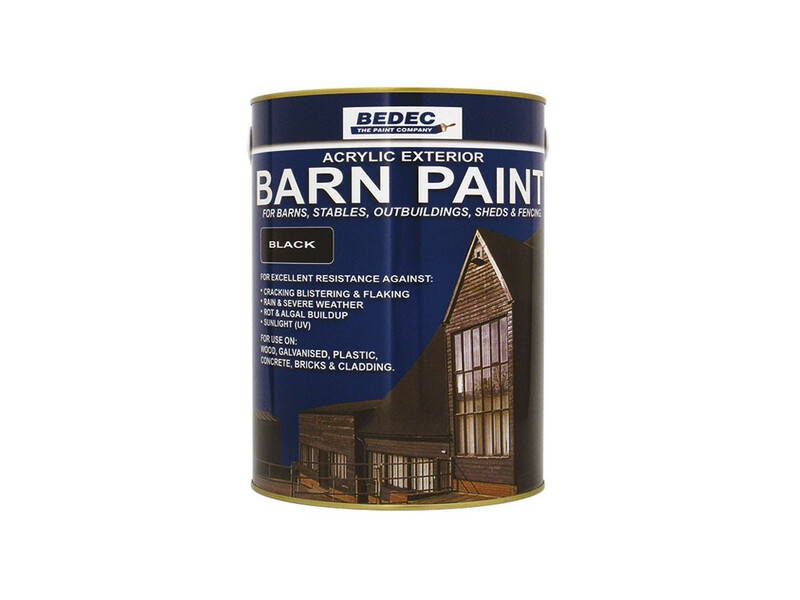 Bedec Barn Paint is an acrylic water-based paint with a semi-gloss finish. All surface paint, ideally suited to the protection of exterior wooden, metal, concrete, brick, cladding, weathered galvanised steel and plastic cladded buildings. It can be applied to previously painted surfaces, even surfaces coated with weathered bitumen, tar varnish or creosote. 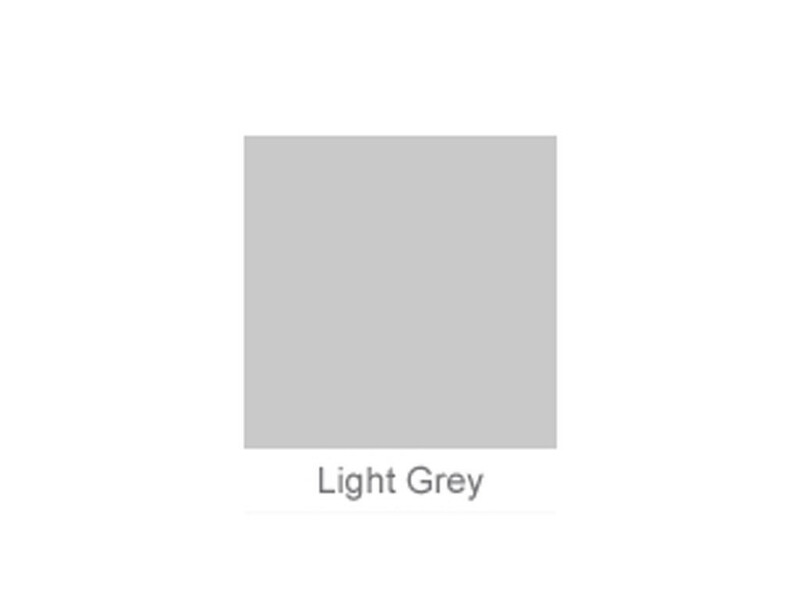 Barn Paint is tough, durable and has excellent colour retention and will flex with the substrate rather than flake, blister or crack, resistance against, rain and severe weather, rot and algal build-up with a long lasting finish. 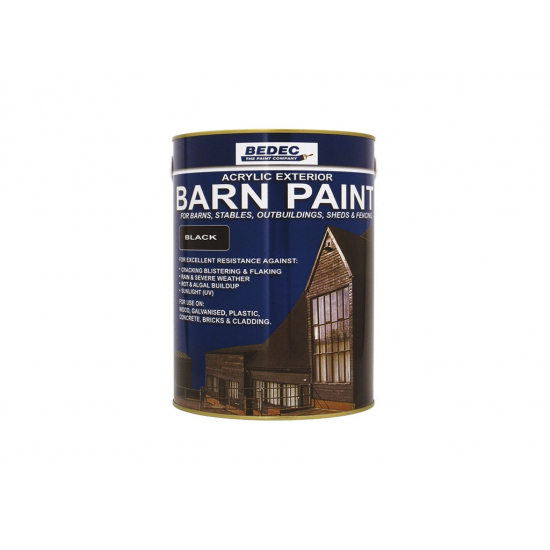 Barn Paint is suitable for many applications including fencing, posts, guttering and weathered galvanising without the need for a primer.